Assistant Professor, Department of Neurology and Neurosurgery, Faculty of Medicine, McGill University (effective August 2018). One of McGill’s most promising transdisciplinary researchers, Dr Iturria-Medina aims to create integrative multifactorial mathematical models using data from large-scale data sharing initiatives to explain both normal and abnormal brain development (from autism and Alzheimer’s disease to schizophrenia). These models underpin his work in precision medicine aimed at identifying individual brain signatures – personalized therapeutic fingerprints for the brain. These innovative models are expected to inform drug discovery as well as identify which drugs will work for which patients. 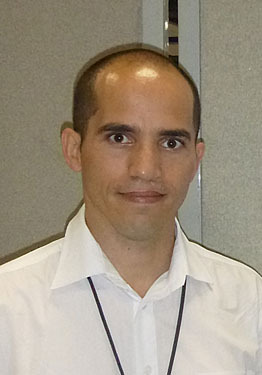 Dr Iturria-Medina’s research integrates neuroscience with computer sciences in research that encompasses multi-modal neuroimaging (MRI, fMRI, PET), diffusion-tensor imaging (an MRI technique employing anisotropic diffusion to estimate the brain’s white matter organization), effective connectivity (the causal influences that neural units exert over another) using functional data, and multifactorial causal analysis (how different biological factors interact directly, from the molecular to the macroscopic scale). The January 2017 edition of Discover Magazine ranked Dr Iturria-Medina’s 2017 research on Alzheimer disease as 12th among the top 100 scientific discovers of 2016. Subscribe to one of the Ludmer Centre’s social media sites for updates.